guess what? i lost my camera in uruguay and had my computer stolen in argentina so all my remaining photos (for the rest of my trip) will be from traveling partners. 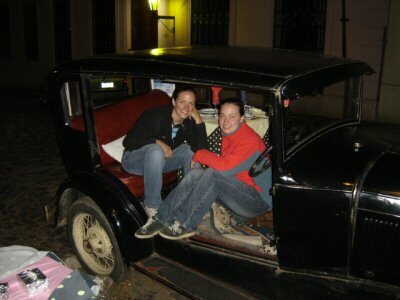 i met up with alexis from chicago in buenos aires and then traveled with her to iguazu falls and then to uruguay for about a week. 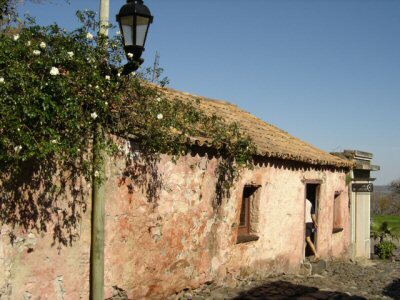 here we are at an excellent mexican restaurant in colonia del sacramento, uruguay. earlier in the day we ate lunch at a restaurant that had an american flag flying. we obediently jumped to our feet, put our hands on our hearts and pledged allegiance. i actually do salute every time i see an american flag out here on the road. the pier of colonia del sacramento. the town is a former portuguese settlement across the rio de la plata (silver river) from buenos aires, argentina. beautiful town. the streets of the town are narrow, cobblestone, and incredible. alexis left after a couple days to catch a flight but i stayed for a week. alexis's friends tiffany and michael from australia were in colonia at the same time as us so we all hung out. here are tiffany and alexis sitting on the steps to my room at the youth hostel. 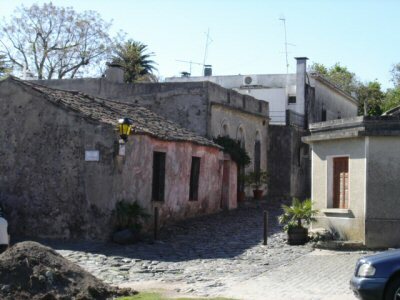 gotta love the old cobbled streets of colonia. and the amazing old buildings. 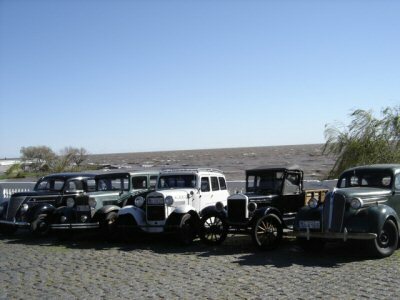 all throughout uruguay, the first cars ever invented still rumble down the streets. 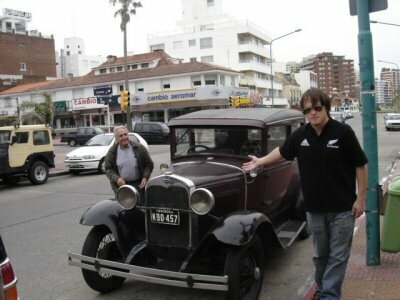 i had to pose with this one right as the guy pulled up to the curb in punta del este, uruguay. alexis and tiffany took it a step farther and got into a car. 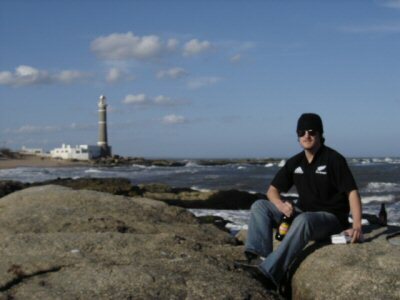 enjoying a beer on the shore of the atlantic in punta de jose ignacio, a town alexis and i were temporarily stranded in. 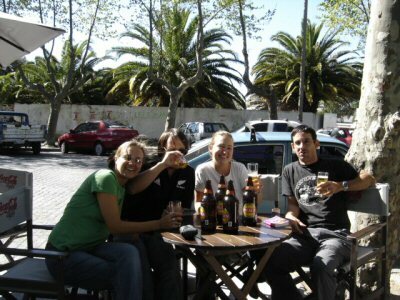 alexis and i having a brew with tiffany and michael from australia at a street cafe in colonia. it was nice to walk down to the river bank with a couple bottles of wine to watch the sun set on the rio de la plata.